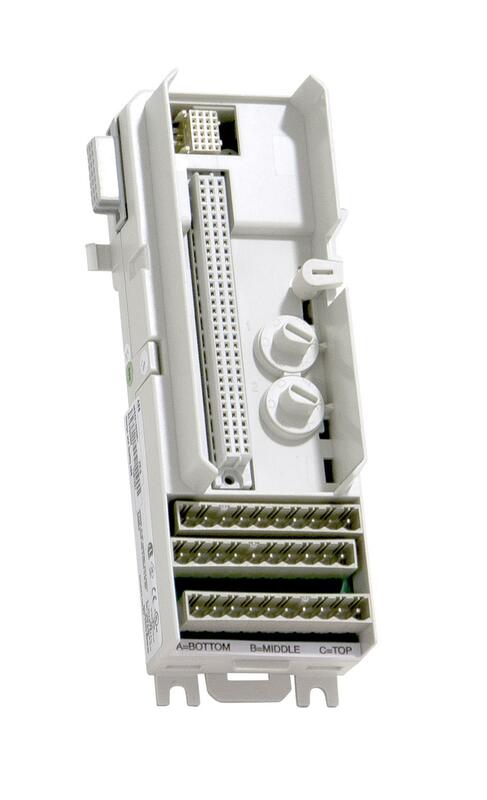 The AI815 Analog Input Module has 8 channels. 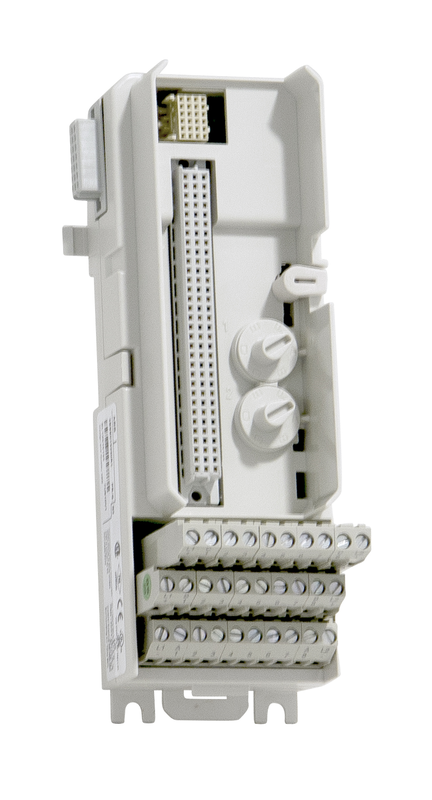 The modules can be configured for voltage or current inputs. 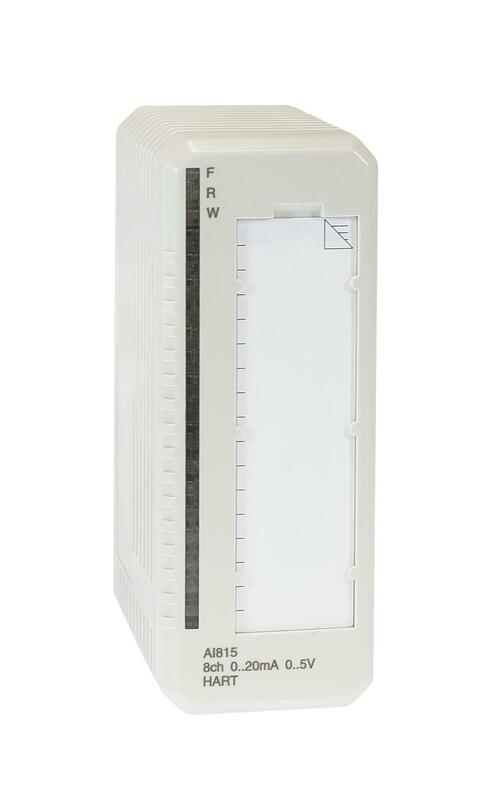 Current and voltage signals cannot be mixed on the same I/O module. 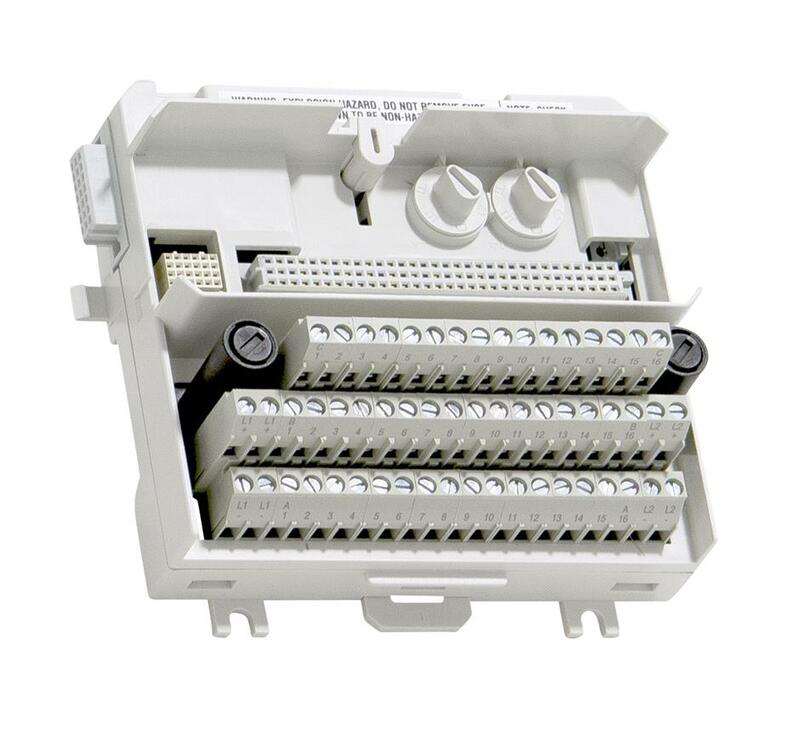 The voltage and current input is able to withstand an overvoltage or undervoltage of at least 11 V d.c. 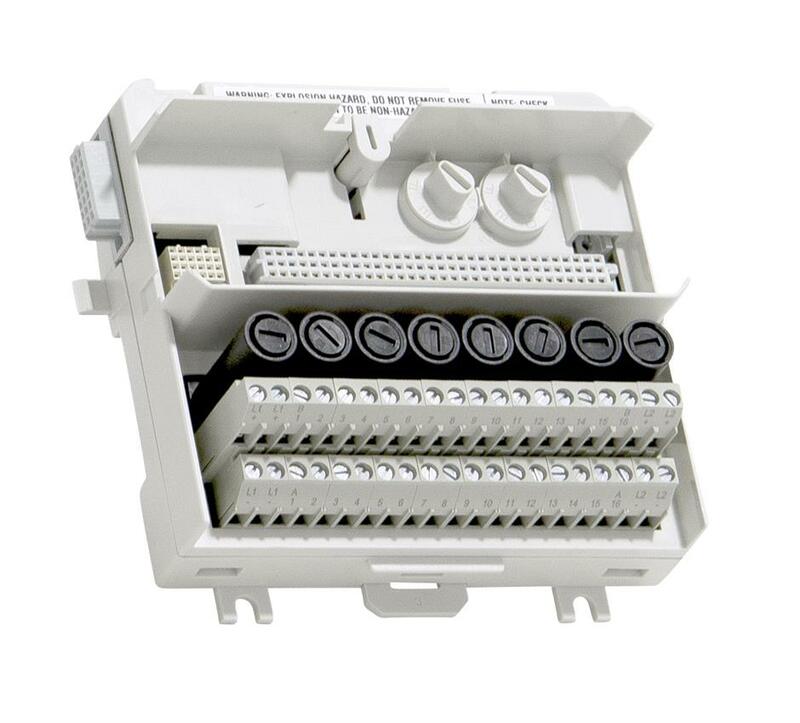 The input resistance for voltage input is greater than 10 M ohm, and the input resistance for current input is 250 ohm. 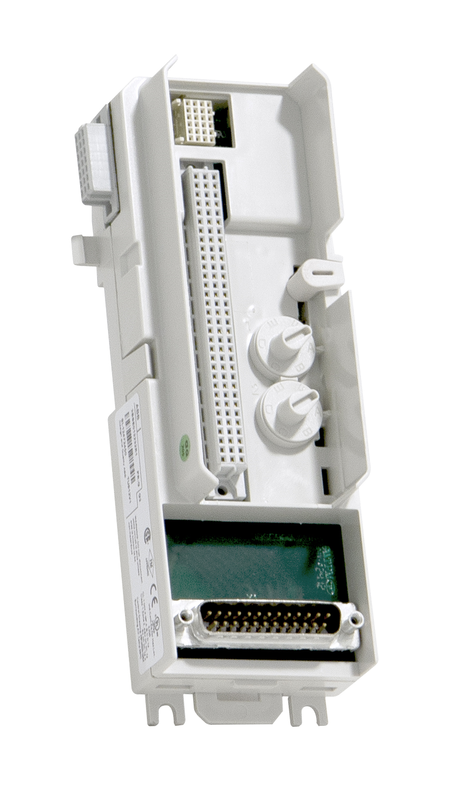 The module distributes the external HART compatible transmitter supply to each channel. 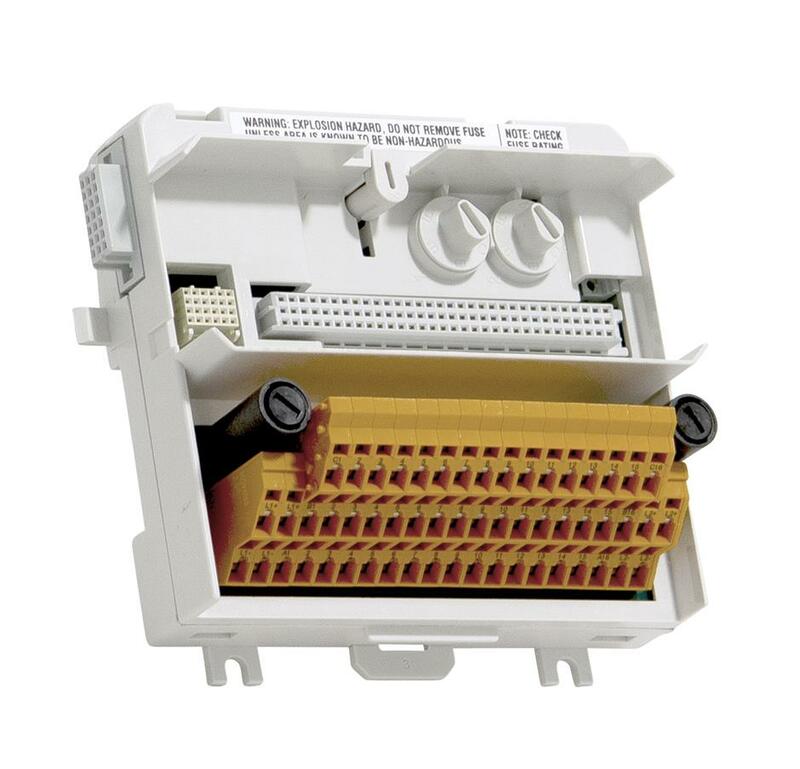 This adds a simple connection to distribute the supply to 2-wire or 3-wire transmitters. The transmitter power is supervised and current limited. 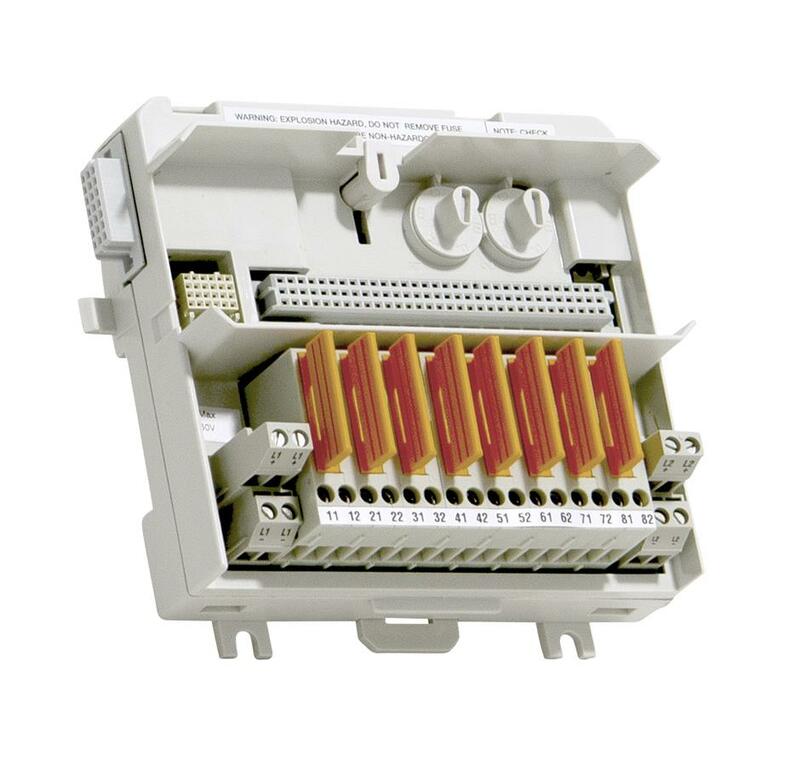 If an external power supply is used for feeding HART transmitters, the power supply must be HART compatible.